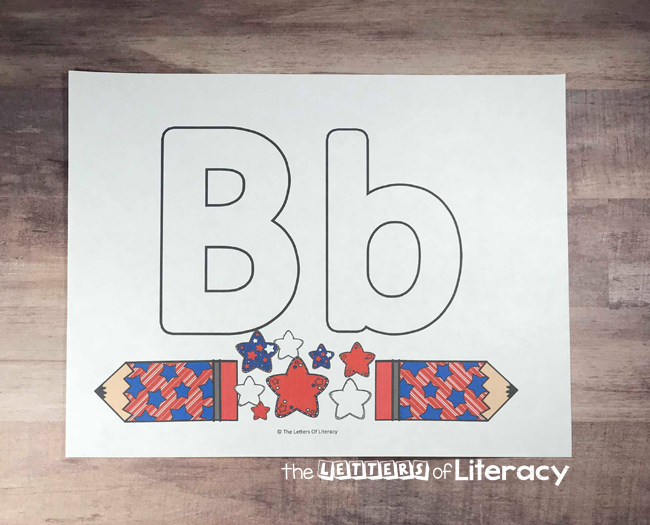 FREE Patriotic Alphabet Play Dough Mats, Printable for 4th of July! Our family is tremendously patriotic. I mean, I grew up in a family who respected the flag, this country, it’s history and wore red, white and blue on patriotic holidays but I didn’t know patriotism until I met my husband. He was in the Army at the time. He deployed shortly after we got married and the true meaning of patriotism quickly became my life. Now I do not let a Veteran pass without giving my thanks, I proudly put my hand over my heart for the Pledge of Allegiance and The Star Spangled Banner without even thinking. Patriotism is something that we both hold dear and hope to teach our daughter the true meaning of it. 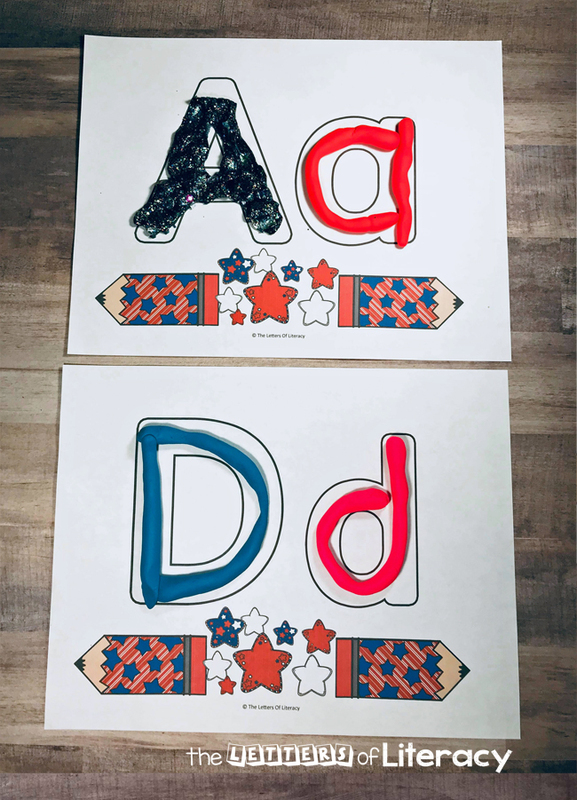 So providing our daughter and her friends with patriotic activities, like these Patriotic Alphabet Play Dough Mats is perfect for our backyard 4th of July celebration! 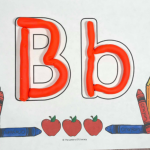 *Pair this with our Alphabet Centers and Activities for more ABC practice! We don’t need to wait until the quintessential holidays to sport red, white and blue. We can be patriotic on any day of the year and we should. That being said, when the Fourth of July comes around, we do it big. Tons of fireworks, the colors of the flag draping over every table, chair and person in the room, and of course BBQ like you’ve never had BBQ before. 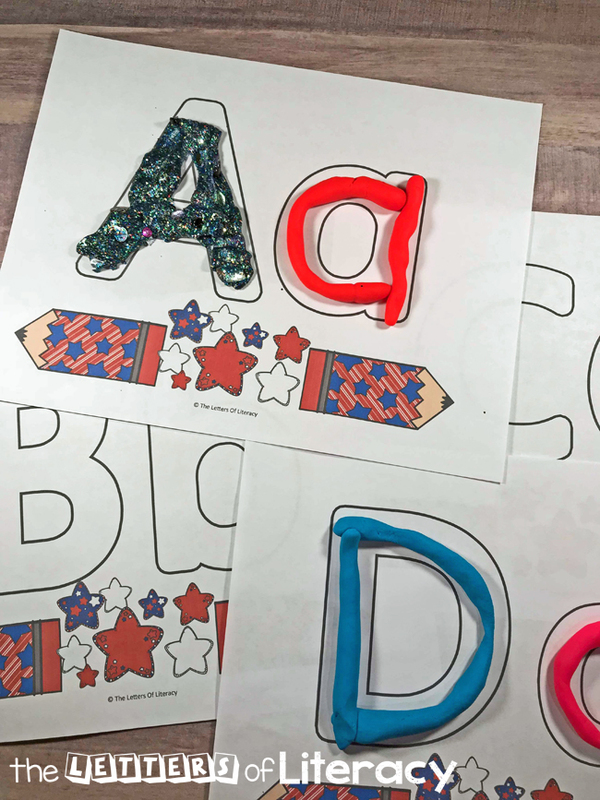 Grab these Patriotic Alphabet Play Dough Mats (at the link below) and include them in your 4th of July celebrations! Who Should Use These Play Dough Mats? 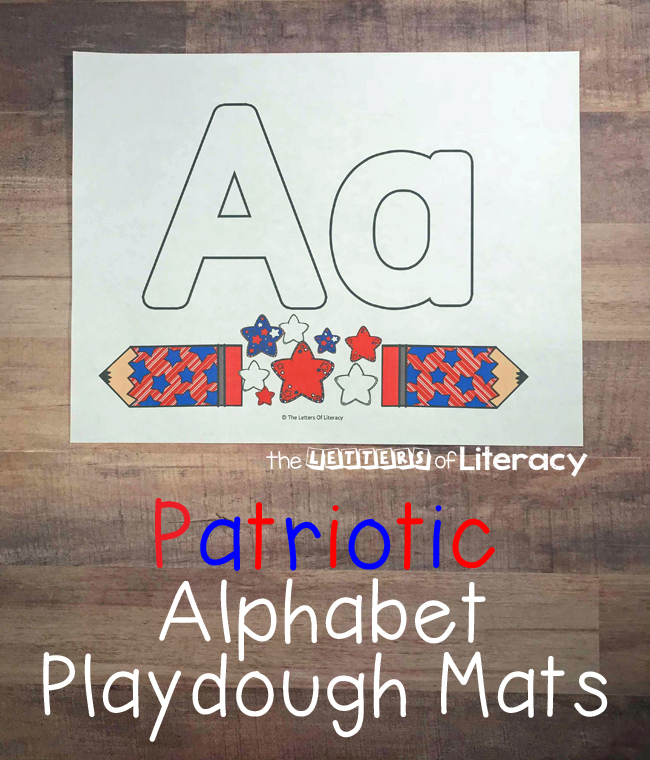 These Patriotic Alphabet Play Dough Mats come in a full alphabet set, including both upper and lowercase! They’re perfect for children from toddlers all the way through Kindergarten. 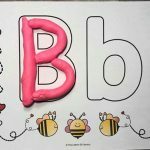 Children who are just beginning to explore the alphabet will benefit from these play dough mats as will children who are learning beginning sounds or even sight words! 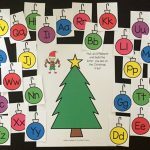 The best part of these play dough mats is that they can be used any time of the year, for many holidays, and can fit into various themes! 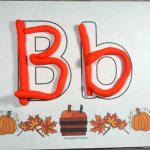 Not only are these play dough mats extremely beneficial for literacy, exploring ABCs, beginning sounds and sight words but have other development benefits as well. 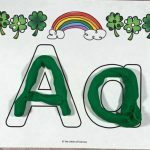 These mats, in combination with play dough, become a fabulous sensory activity, help strengthen fine motor skills as well as assisting with prewriting. 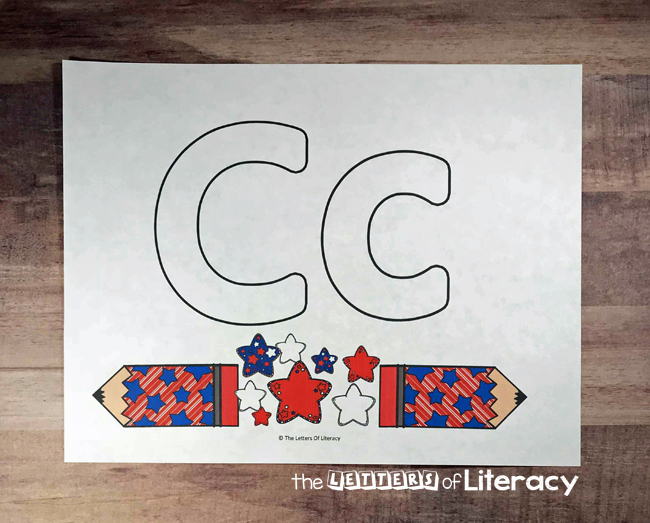 Each page has it’s own letter and is decorated with fun red, white and blue stars and more. The colors are bright and bold with a fun theme. 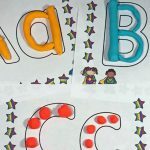 If you haven’t used printable play dough mats in your home or classroom before, you are in for a treat. Kids will be so excited to play with play dough, they won’t realize they are learning too! Once these mats are prepared, they are prepared forever. 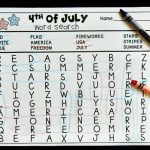 This is such a low prep activity, you’ll want more and more. The first thing I do is print out the set. Next I like to laminate each page. The purpose of this is to make sure the play dough doesn’t stick to the paper. Money Saving Tip: If you would like to save on lamination sheets, you can laminate the pages back to back. 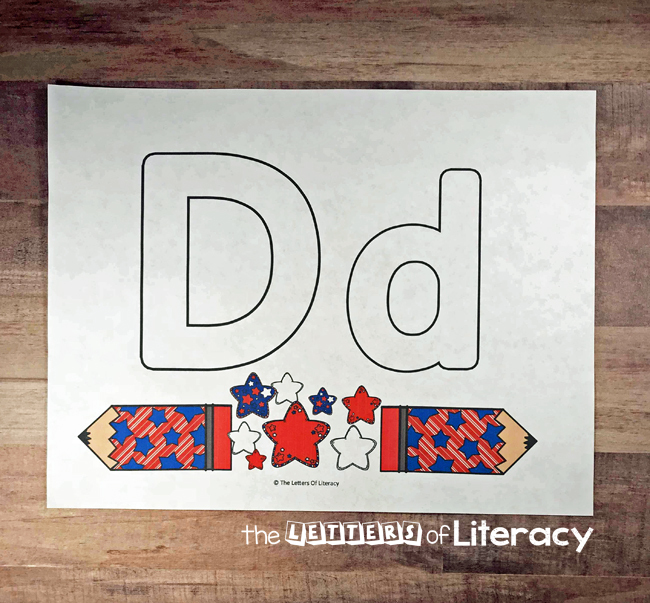 Ready to play and learn? 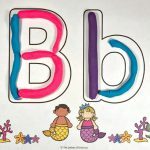 Grab some play dough and print your copy of the Mermaid Alphabet Play Dough Mats by clicking the large, blue button below! 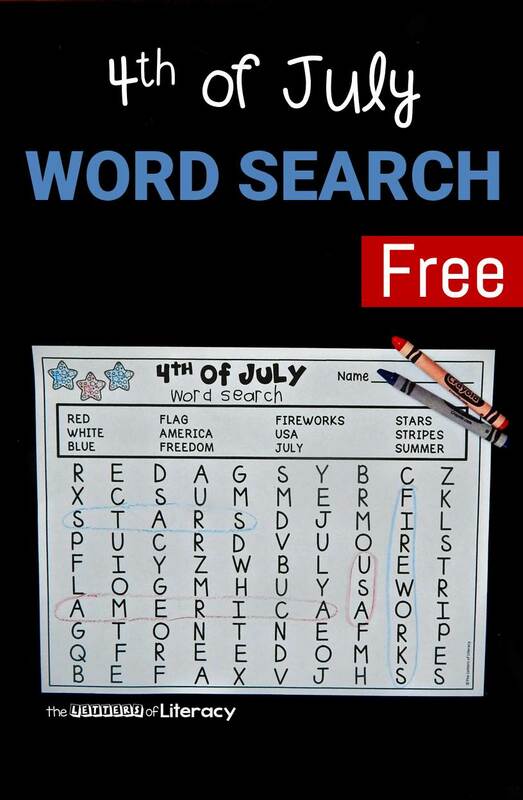 Then, hop on over to see our 4th of July Word Search!